It was composed in 1933 for the 80th anniversary of the Budapest Philharmonic Society. The Philharmonic Society first presented it on October 23, 1933 conducted by Kodály’s friend and fellow composer Ernő Dohnányi. What inspired him to write it? In his preface to the score he wrote, oddly in the third person: The author spent the most beautiful seven years of his childhood in Galánta. The town band, led by the fiddler Mihók, was famous. But it must have been even more famous a hundred years earlier. Several volumes of Hungarian dances were published in Vienna around the year 1800. One of them lists its source this way: “from several Gypsies in Galánta.”… May this modest composition serve to continue the old tradition. 2 flutes (2nd doubles as piccolo), 2 oboes, 2 clarinets, 2 bassoons, 4 horns, 2 trumpets, timpani, side drum, triangle, glockenspiel, strings. The clarinet is prominent, taking the place of the traditional tárogató – a single reed instrument of Turkish origin. The piece is in five sections and last about 15 minutes. So who, what or where is Galánta? Galánta is a town and district in what is now Slovakia. During Koldáy’s childhood it was part of the Austro-Hungarian Empire. In the 20th century it changed hands several times. At the breakup of Austria-Hungary in 1918/20 it became part of the newly created Czechoslovakia. 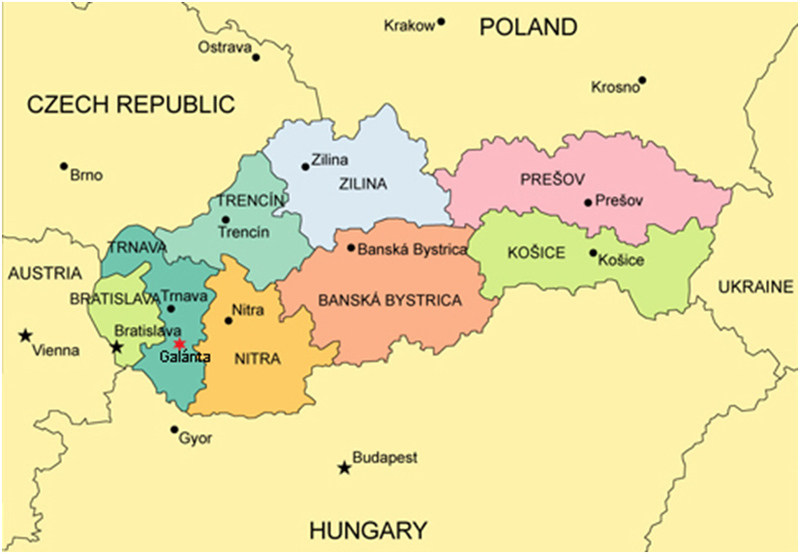 In 1938 it was returned to Hungary but with the Soviet invasion in 1945 once again became a province of Czechoslovakia. The fall of communism and the dissolution of Czechoslovakia led to the Slovak Republic becoming a sovereign nation and renamed Slovakia. What sort of dances are they? 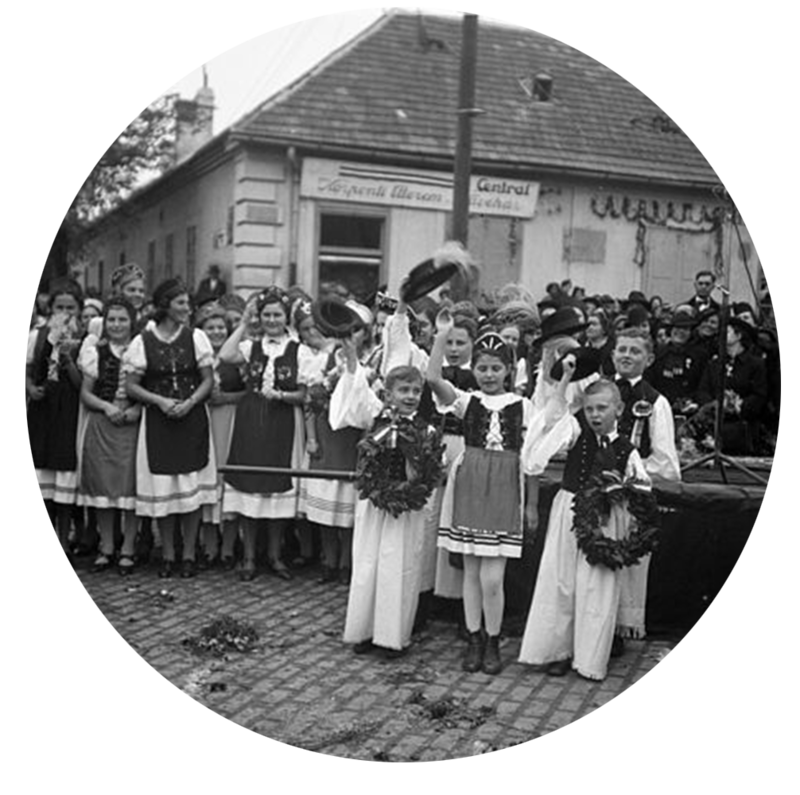 Kodály took his melodies from 17th-19th century Hungarian folk dances that were in the Verbunkos style. Typically in two sections, they begin slow (lassú), with a characteristic dotted rhythm, and then fast (friss), with virtuosic running-note passages. Verbunkos is from the German word Werbung – to recruit. They started out as recruiting dances for the Hapsburg Imperial army. Recruiting dances for the Army? Really? It appears that one of the requirements of a recruiting officer in the Imperial Army in the 18th century was the ability to dance. A dozen or so smartly attired hussars would travel the countryside stopping in at taverns, perhaps standing a round for the locals, and contributing to the festivities by performing the verbunkos. The leading sergeant would open with slow movements, junior officers joined in as the dancing became more energetic. The youngest soldiers would conclude the dance with jumps and spur clicking. Who wouldn’t want to join the army if it meant a life of drinking and dancing? Travelling gypsy musicians often performed the music in taverns and the verbunkos spread beyond the recruiting push. It developed and changed as it spread, gaining in popularity as folk, dance and finally salon music. What does Kodály do with these Verbunkos? Though the melodies are taken from traditional folk melodies he doesn’t simply copy them but filters them through his ability to highlight orchestral colour. He follows the traditional slow-fast structure starting with a slow introduction leading to a clarinet cadenza, a melody that reappears several times until it is overtaken by a string of dance tunes that become progressively faster. However just as the ending is about to climax the introduction returns with a clarinet cadenza delaying that final orchestral spur-click. How can I sample Dance of Galánta? There are many performances of the piece available on the Internet. However one that is highly recommended is a performance of the Budapest Festival Orchestra under Adám Fischer: https://www.youtube.com/watch?v=Dt3n1hJXTTs. Another interesting version is by the Rajkó Orchestra, a world-renowned Gypsy orchestra: https://www.youtube.com/watch?v=0pe5G6BodNQ.